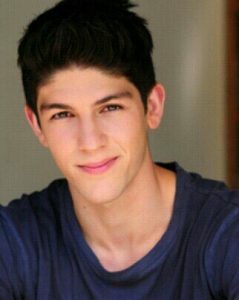 Rahart Adams is an Australian actor. He is best known for his role as Jax Novoa in the hit Nickelodeon series Every Witch Way as well as Davis Pell in the 2015 Nickelodeon TV movie Liar, Liar, Vampire and Sam in the series Nowhere Boys. He also played a supporting role of rookie footballer Rafiq Bouramy in beloved Australian TV Series House Husbands (2017), and portryed Jaeger Pilot Cadet Tahima Shaheen in Pacific Rim: Uprising (2018). Born on February 1, 1996 in Melbourne, Australia, to Australian parents of Maltese heritage, he is the second oldest of four children. He majored in Media and Business from Berwick Grammar. He made his Television debut as Alistair O’Laughlin on the Australian soap opera Neighbours in 2012. Siblings: He is the second oldest of four children in his family. *He was born on February 1, 1996 in Melbourne, Australia. *He did his schooling at Haileybury College focussing on Media and Business Studies all whilst splitting time between filming projects early on in his career. *In 2015, he hosted the Nickelodeon SlimeFest. *He is good friends with Tyler Alvarez, Nick Merico, Liam Obergfoll and Mavrick Moreno.